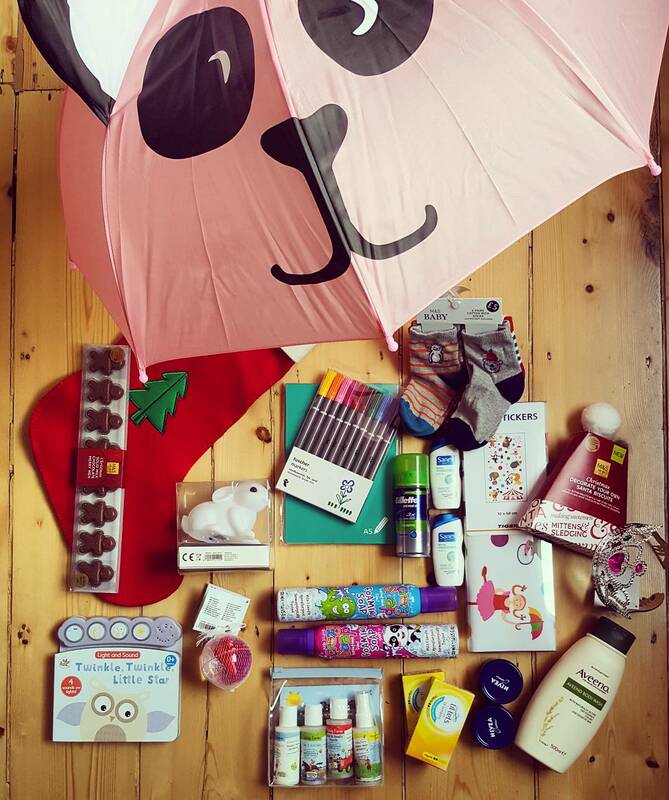 from Tiger – pink bear umbrella, felt tips and colouring pad, glittery bouncy ball with dinosaur, circus wall stickers, rabbit nightlight and plastic gem crown. from M&S – solid chocolate merry men, big red present stocking, decorate-your-own Santa hat biscuits, twinkle twinkle little star musical book and a four-pack of baby socks. from Boots – Aveeno shower wash, foaming soap, a Child’s Farm gift set, tampons and travel sized body wash, moisturiser and shaving foam. Hey, I know none of this is a magic wand – but if just a couple of kids have something to smile about for one day it’s totally worth it.